With the knowledge that each business faces its own unique set of challenges, NAICO strives to provide adequate enhancements to our standard commercial coverage offerings to suit the individual needs of each insured. Our standard coverages consist of automobile, general liability, property, inland marine, excess and workers’ compensation insurance. 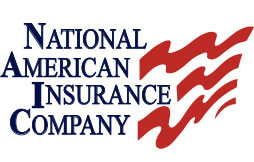 NAICO can tailor a custom comprehensive insurance program to meet the needs of virtually any business within the industries we serve.